VPBank is deploying online unsecured overdraft service for a specific group of customers who have salary account at VPBank. Overdraft is a loan granted on a current account for the customer to exceed the balance on his/her account. The customer owes an interest on the amount taken. Online underwriting limit of this product is from VND 10 – 20 million, depending on the salary of customer. 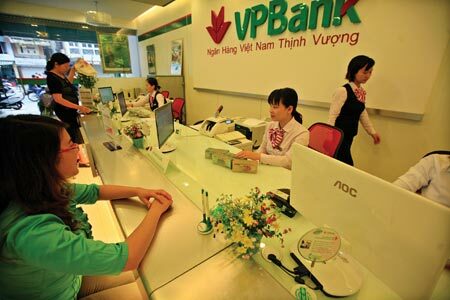 The limit can be raised to VND 200 million if customers apply at the counter. Work at the following organizations: Hanoi Public Security Department, VCCORP Company, Wondo Company, Nhabe Garment Corporation, Dong Anh Footwear Joint Stock Company. Step 2: Select “Account overdraft applicants” (Note: Select the account salary list) -> Fill in the required information -> Select “Continue”. Access VPBank Online (https://online.vpbank.com.vn) -> Register a new account. Fill all information. After completing the registration and activate your account, follow all the steps as above.